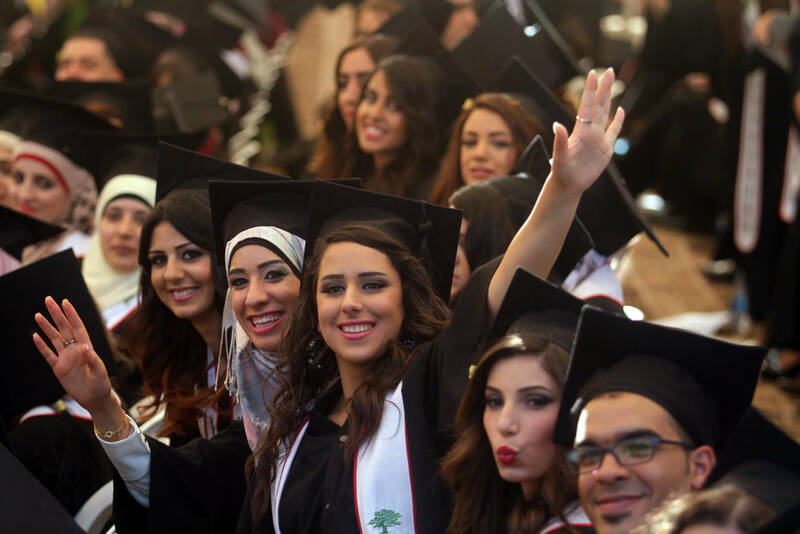 Birzeit University students at their graduation ceremony in 2014 (Photo: Issam Rimawi/APA/Zumapress). I believe that one of Palestine’s greatest assets is its institutions of higher education. Throughout the decades of Israeli military occupation, universities in the occupied Palestinian territories have not just survived but have grown strong. 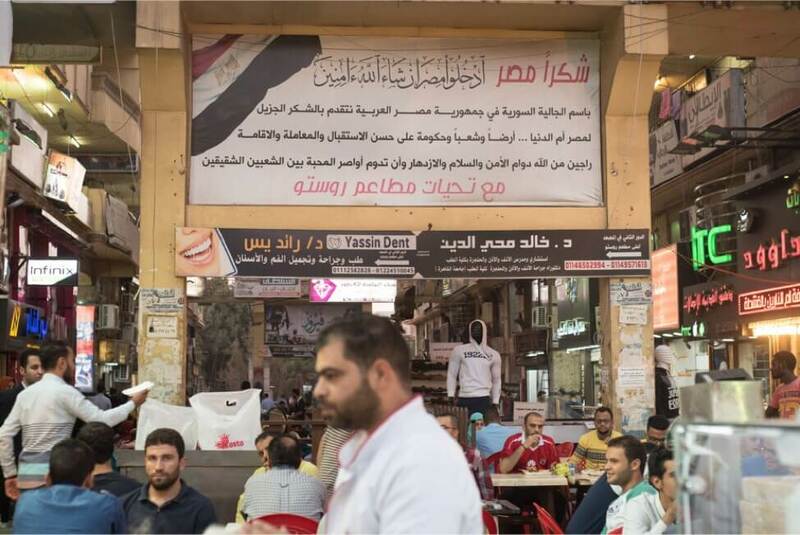 While there are some industries—agriculture, construction, information and communication technology, light manufacturing and tourism, among others—that economists always include in their plans for a future Palestinian economy, the economists ignore our most successful business. Providing quality higher education adds value to our economy and our society. Education under duress is Palestine’s forte. In the light of this, I and a number of like-minded academics formed a LinkedIn group, Academic Network for Palestine, devoted to a single idea: to leverage the vast experience of Palestinian higher-education institutions operating in the West Bank, East Jerusalem, and the Gaza Strip to establish a university outside of Palestine for all those diaspora Palestinians and those in the Palestinian solidarity movement abroad, who are prohibited by Israel from attending Palestinian universities in Palestine. In short, we aimed to export Palestinian higher education to Palestinians. The group now has nearly 200 members and includes scholars from Palestine and from within and outside the Arab region. Our rationale was that Palestine will not be free from Israeli military occupation, nor will restrictions on Palestinians’ movement and access end any time soon, so there was no use waiting for better conditions. We discussed, then rejected, the idea of opening a branch of a West Bank university in Gaza and/or in the Galilee area of Israel. We rejected this idea because a branch campus of this kind would only be accessible to students in one place. To do this would be to acquiesce to the forced fragmentation of our people; it would contribute to the further disintegration of our social and political fabric, threatening our national project as a whole. Our initiative aimed to contribute to building a generation of Palestinians who would be tomorrow’s leaders, but without the geographical limitation placed upon them by the foreign military occupier. The university we envisioned would, for the first time since 1948, bring together Palestinian students from the occupied territories (the West Bank, East Jerusalem and the Gaza Strip), Palestinian students from inside Israel and from across the region (refugees in Lebanon, Syria, Jordan, and elsewhere), and Palestinians in the diaspora. Added to this mix would be foreigners in solidarity with the Palestinian struggle who would join us either as students or as part of the teaching cohort. I and members of our group allowed ourselves to visualize this conceptualized community day in and day out. We chose the Republic of Cyprus as the location for our proposed university. Cyprus is our geographical neighbour in the Levant and has a history of close business, political and cultural ties to the Arab world. As a member state of the European Union, it follows E.U. education standards. And it is not under the heavy hand of Arab governments. We sought an academic model that would provide flexible and personalized learning, and this led us to Quest University Canada, Canada’s first independent, not-for-profit secular university. We used what we learned from Quest to create a plan for the first Palestinian-oriented university outside Palestine. It would be independent, secular and co-educational, and would combine the best elements of a variety of education systems. It would also observe high quality standards and be international in its philosophical outlook, all with an indigenous underpinning and devoted to uniting Palestinians and others in one institution of higher education. Our idea was not new. The idea of a Palestinian university like the one we conceived was proposed decades ago—not once but twice. In October 1973, an article in the journal Palestinian Affairs (Shu’un Falastiniyyah), titled “The Proposed Arab University in the West Bank,” described an effort in 1972 by a group called the Arab Higher Education Institution to set up an institution in the West Bank that would employ professors from Arab and other countries. Their proposed university would have a presence in several West Bank cities—a law faculty in Ramallah, a faculty of arts and social sciences in Nablus, a faculty of natural sciences and agriculture in Tulkarem, and a faculty of Islamic studies in Hebron. The initial phase would serve approximately 1,000 students. They received permission, at first, from the Israeli military governor and from the Israeli minister of education and culture, Yigal Allon. The plan expired amid multiple political disagreements on all sides. A more promising effort was made three or so years later, when the PLO revived the issue. They asked Unesco to produce a feasibility study for the creation of an open learning system for the Palestinians. In 1976, the Unesco working group, led by Ibrahim Abu Lughod, a professor and prominent Palestinian public intellectual, issued a report that made recommendations that are still pertinent today. At the same time, students would be required to take relevant courses in humanities subjects. “Palestinian identity and cultural heritage and those aspects of Palestinian culture which are related to Arab culture as a whole are precisely the ones that are missing from the curriculum in which Palestinians are educated today,” Abu Lughod wrote. In 2018, the higher education institutions operating in Palestine, under military occupation, are in no position, especially financially, to assume the responsibility for educating Palestinians abroad. One would expect the Palestinian Ministry of Education and Higher Education to assume the task, but this is wishful thinking. Although we met with the Minister and he welcomed our concept, his mandate is limited to the Palestinian education sector under occupation. Our plan is needed as much as it ever was. As for how to pay for it, the responsibility for the education of all Palestinians should rest squarely with the Palestinian Liberation Organization. For all its faults, it is still our umbrella organization.